I have a vivid memory the summer before our oldest daughter turned three. We were spending the morning at a friend’s neighborhood pool, Lucy sat on the edge of the pool singing as loud as her little voice could sing, “Bless the Lord all my soul, o-o-o my soul! 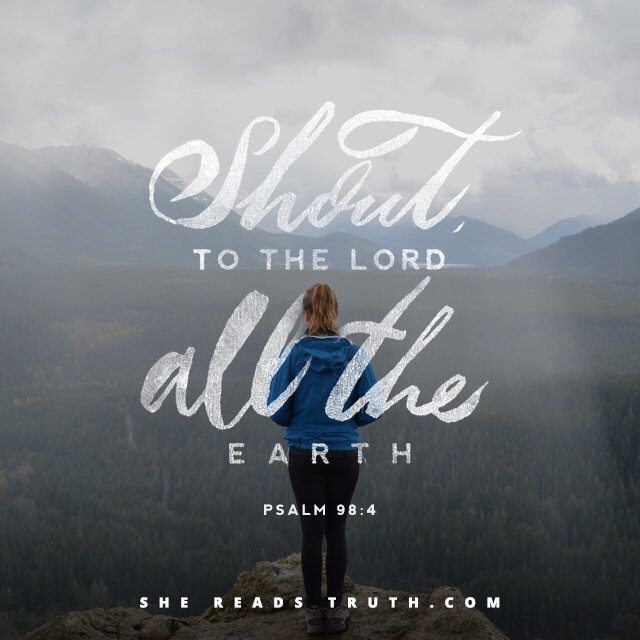 Worship His Holy Name!” I can still picture her in that bright colored two-piece, dirty blonde hair just above her chin, and those round eyes, full of expression. I remember watching her in awe…it blessed me to to see this child of mine shouting praise to our Father in heaven. What continues to amaze and humble me about our God, is that He doesn’t need our praise, or our love, or us for that matter. The God of the Universe wants me. He looks forward to the time we spend together. He wants to be included in every moment of every day. He wants me to depend on Him. It blesses Him to know and love me. If you have a moment, click on the link below, it will take you to the song that Lucy sang so exuberantly three years ago. She still sings to Him, only with a little less utter abandonment. Part of this makes me a little sad…she is growing up. She now cares about what her song sounds like, she wants it to be pretty, perfect even. I fight this battle myself. Do you? Is my worship and adoration pretty enough? Are my prayers thoughtful and clear? Are my works suitable for the King? Let’s worship Him today for all that He has done and continues to do. Let’s worship him without caring what we look or sound like…it’s all beautiful to Him.